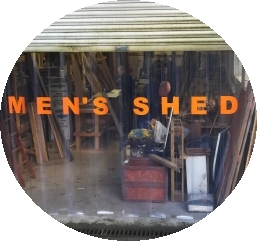 Shepton Men's Shed was established to provide companionship, activities and the opportunity to learn and share skills for men of any age. To counter the isolation and loss of direction that many men experience through retirement, unemployment, poor health or bereavement. Shepton Men's Shed is a not for profit Community Interest Company and everyone is a volunteer. What is Shepton Men's Shed? 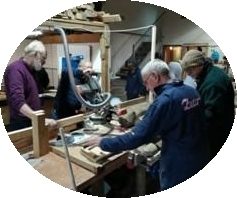 Shepton Men's Shed started life in September 2017and was established to counter the isolation and loss of direction that many men experience through retirement, unemployment, poor health or bereavement. We provide companionship, activities and the opportunity to learn and share skills for people of any age. We aim to provide a broader service to the local community by working closely with health and social workers as well as taking the pressure off home carers. By undertaking projects such as repairing park benches and creating shelving for local community halls, we endeavour to integrate as much as possible and add value for the townspeople of Shepton Mallet. Although called a shed it is an industrial unit on the Charlton Estate. It is a place to pursue practical interests at leisure, to develop skills and enjoy making and mending. The difference is that garden sheds and their activities are often solitary in nature while Men’s Sheds are the opposite. They’re about social connections, friendship building, sharing skills and knowledge, and of course a lot of laughter. Whatever the activity it is not the building but the connections and relationships between its members.